Just admit it. Eventbrite is by far the most popular online event management software and indeed, it comes with plenty of features. Including the ability to become an event registration platform. While event organizers can take advantage of Eventbrite to manage their events, regular users can explore the nearby event schedules. However, popular doesn’t always mean the best. Or may be, you don’t find Eventbrite match the event you are organizing. Don’t worry, there are numerous of online event registration software alternatives to Eventbrite. Going paperless by making use of an online event registration software can give you a number of advantages. First, you can reach more audiences that are your event participant candidates. Second, you can makes it easy for your participant candidates to register. The point is, everything is gonna be simpler and easier. 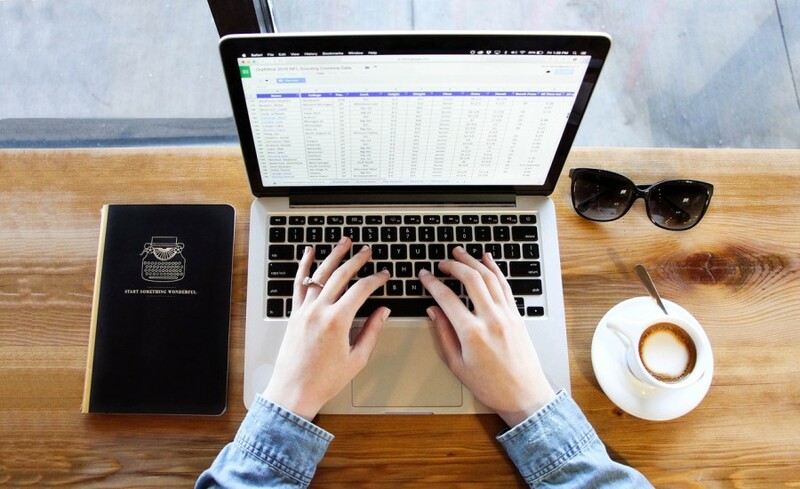 You don’t have to deal with a complex spreadsheet. 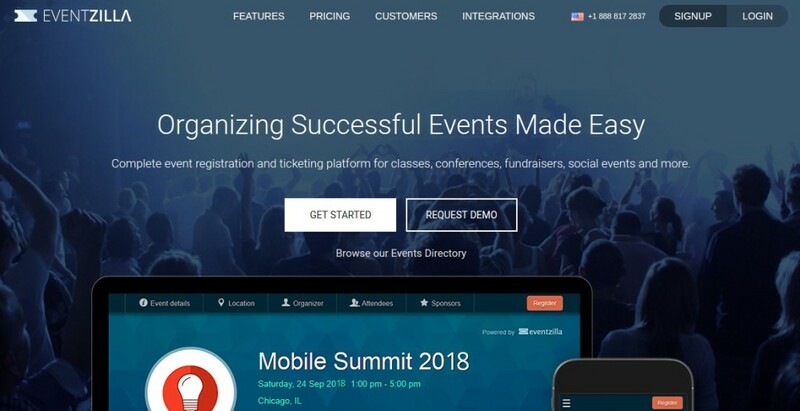 For event organizers out there who are looking for an online event registration software, here the list you can consider. As I mentioned at the beginning, Eventbrite is one of the most popular event management software. But in case you haven’t known, I still mentioning this software on this list. 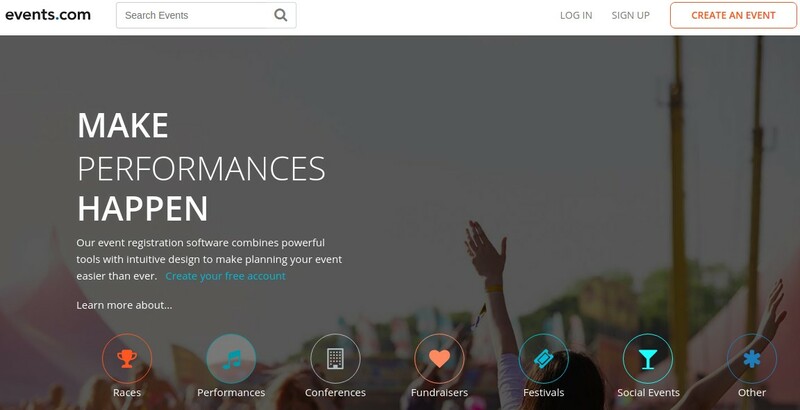 Eventbrite is a versatile software you can use to manage your event. You can take advantage of this software to do a lot of things regarding your event, including utilizing it as a registration platform. Eventbrite allows you to create a fully customized event page, not only for web but also mobile device. Your audiences will be pleased by a simple purchase flow and gorgeous event pages that look great on any device. Eventbrite also comes with a feature to enable you tracking sales in real time. You can monitor the reports from any device. Other appeal thing of Eventbrite is it can be integrated with over 130 tools you probably use. Including Mailchimp and Salesforce. Unlike Eventbrite which has a complex tools, ePly focuses to help you to create registration form for your event as well as manage your event. ePly is a good choice if you new to online event registration software since there are several examples of registration forms you take as an example. Additionally, ePly also offers a demo to allow you login to ePly dashboard to get a glance look of administration page. One thing you probably love about this software is that it allows you to display your organization logo on the registration page. ePly also allows you to accept as many participants as possible. ePly will charge you $4.00 per registrant. Eventzilla is often considered as the strong competitor to Eventbrite. You can even find a comparison page on the Eventzilla site comparing this software with Eventbrite. Big companies like Honda and TED also regularly use this software each time they want to hold an event. Like Eventbrite, Eventzilla also has numerous of useful features. One the most useful ones is probably Waiting List which allow you enable waiting list and resell unused tickets easily. The mobile check-in feature can save you time checking in attendees on event day. Furthermore, Eventzilla supports a wide range of payment gateway, including Paypal, Authorize.net, Wepay and Stripe. Eventzilla also comes with numerous of integration supports. If you are looking for a free solution of event registration software to handle your small event, Event Smart probably can be a good option, although you will have to work with a number of restrictions here and there. Overall, the features offered by this software are quite similar to Eventbrite and Eventzilla whereby you can integrate this software with other popular services such as MailChimp, PayPal and Google Analytics. Event Smart also offers a mobile check-in feature. 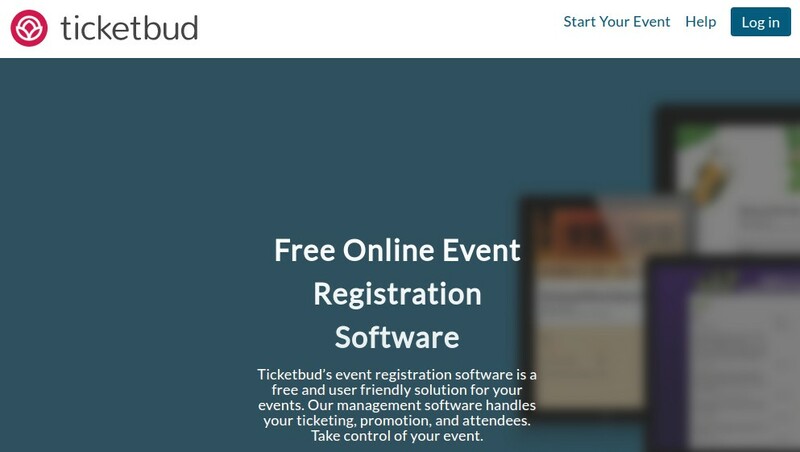 Ticketbud is another complex enough online event management software like Eventbrite and Eventzilla. This software comes with a number of resources including, of course, event registration. More interestingly, you can use the registration platform offered by Ticketbud for free. Creating an event page in Ticketbud is quite easy and just need minutes. Once you done creating an event page, you can embed it to your website or share it to social media platforms. Ticketbud also supports integrations. Some of online services you can integrate with Ticketbud include Mailchip, Stripe, Paypal and lots more. If you need a demo, Ticketbud also offers it. With proud, RegFox claims that it is the best event registration software. This software even bravely compares its product to other similar software including Eventbrite, RegOnline and Events.com. Is this software really that great? Well, the answer can be vary depends on from which side you look at. But overall, the features offered by RegFox are basically not far different to Eventbrite and Eventzilla. RegFox also comes with a mobile check-in, real time analytics, branding control and so on. This software can also be integrated with other services like Salesforce, Pipedrive, HubSpot and lots more. Before deciding to rely on this software, you can also request a demo to try it out. According to an information on its site, brands like Cisco, Toyota to Nestle once used RegFox. RegOnline is a part of the Cvnet Event Cloud, a comprehensive software platform to help you plan, promote and manage events. This event registration software has been around for over 10 years. As of today, the software have been serving over 42 million registrations. Many event organizers worldwide rely on this software to provide an online registration form as well as manage their events. RegOnline is going to charge you for $3.95 per registrant. There is a special offer for a registered 501(c) organization, religious group, educational institution and other non-profit organizations. Just like other competitors above, RegOnline also comes with a number of features and integrations as well. One of which is mobile organizer that lets you get rid of heavy binders and overflowing folders filled with all your event information. Whether you want to create a registration form for your event to get people register or want to sell your event tickets, Events.com can handle it for you. You will only to pass through four steps to get started. Events.com will provide full access of its tools without requiring you to make a contract or commitment. This registration software also comes with a simple pricing scheme. For paid events, a fee is added for your guests to pay at checkout. If your event is free, then no fees are involved. Events.com doesn’t offer much features like, for instance, RegFox. Even so, standard features like social media integration and real-time registration tracking are available. Want to hold a free event and is looking for a free software to create a registration page? Eventarc is probably the stuff you want. This online event registration software promises not to charge you, if you don’t charge your participants as well. Unlike most similar software which commonly only allow you capturing a generic set of information, which makes it tough if your event has unique requirements. Eventarc allows you specify your own fields during the creation of registration page. This software also allows you to minimize the unnecessary fields. Eventarc also doesn’t come with numerous integrations, but it’s a worth-trying enough item. Particularly if you want to hold a free event since you won’t be charged to use this software. rsvpBOOK is another great choice if you new to online event registration software. There are several registration pages you can take as an example. rsvpBOOK can also be a solution if you are looking for an event registration software that doesn’t charge for a free event. In rsvpBOOK, you have the control over the look of your registration page and the content as well. You will be provided standard tools like email communications and registrant management tools for every event you create in rsvpBOOK. Picatic describes itself as an elegant, simple event registration software. And indeed, this software is pretty elegant. Picatic has 5 pricing packages from Paid Event, Free Event, Non Profit, Developer to Enterprise. Each package comes with a different price. For instance, Paid Event package will charge you 2.5 % of ticket price plus $1 per ticket sold. If your event is free, you can choose the Free Event package and Picatic will charge you nothing. In other words, Picatic is also a nice choice for anyone who want to hold a free event. Although you choose the Free Event package, you can access all of the Picatic features. Furthermore, Picatic also comes with numerous of integrations. You can integrate this software with famous services like MailChimp, Google Analytics and Zapier. Specifically, Picatic is a great choice if you have a WordPress-based website and want to display a list of your upcoming Picatic events. There is a plugin that allow you integrating Picatic with WordPress. There are a few other great registration software options you should include in your list. All are great for events and offer the same features this list does, some at a better price! We will try, I promise! It’s going to be hard, but we will do our best!